We created this podcast to share unique ideas with the world. Shivani Pandya CM ‘18 is from Sugar Land, Texas. Her interest in people and podcasts led her to start Free Food for Thought in early 2016. On campus, Shivani was also Technology/Data Manager of the Rose Institute of State and Local Government. 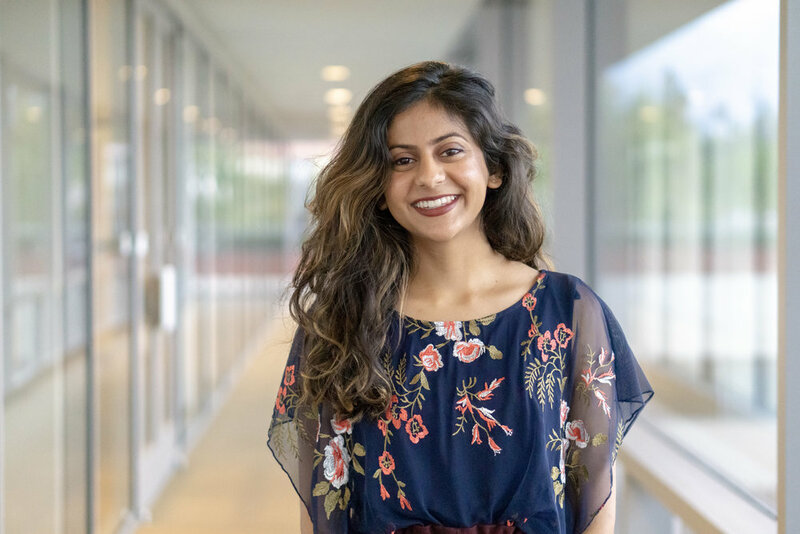 In her free time, Shivani enjoys watching her beloved Packers win, reading books about World War II, and watching anything created by Joss Whedon and Aaron Sorkin. Skip Wiltshire Gordon is a senior from Wilmette, Illinois, pursuing a dual major in Government and History. In addition to the podcast, Skip works at the Rose Institute of State and Local Government and helps teach music theory to local youth through Uncommon Good. In the Fall of 2017, Skip studied in Washington, D.C. and interned on Capitol Hill for Rep. Mike Quigley. When not recording podcasts, Skip can be found reading POLITICO, listening to music, and snacking on cashews -- sometimes all at once. Melanie is a junior from South Florida pursuing a degree in Philosophy, Politics, and Economics with a sequence in Public Policy Analysis. She joined the Free Food for Thought team to explore her passion for podcasts by becoming a content creator herself—just try and catch her without headphones in at least one ear. Besides podcasting, Melanie researches redistricting policy at the Rose Institute of State and Local Government and spends her Friday evenings working on policy proposals of her own with her new campus organization, Roosevelt @ the Claremont Colleges. Zach Wong is a senior at Claremont McKenna College majoring in Philosophy, Politics, and Economics. On campus, he conducts research for the Rose Institute of State and Local Government, managed the Free Food for Thought podcast in the Spring of 2017, and competes on CMC’s Model UN Team. In the Fall of 2017, Zach studied in Washington, D.C. and interned for the American Enterprise Institute’s Government Relations team. In the future, Zach hopes to attend law school and pursue appellate litigation or policy work on Capitol Hill. Outside of school, Zach is an incorrigible coffee snob, hobbyist photographer, and recreational road cyclist. Tori Johnson is a sophomore from Colorado pursuing a degree in Economics with a sequence in Data Science. Tori joined the Free Food for Thought team to further develop her technical chops through podcast editing. Aside from podcasting, Tori is interested in supporting technology and innovation on campus. 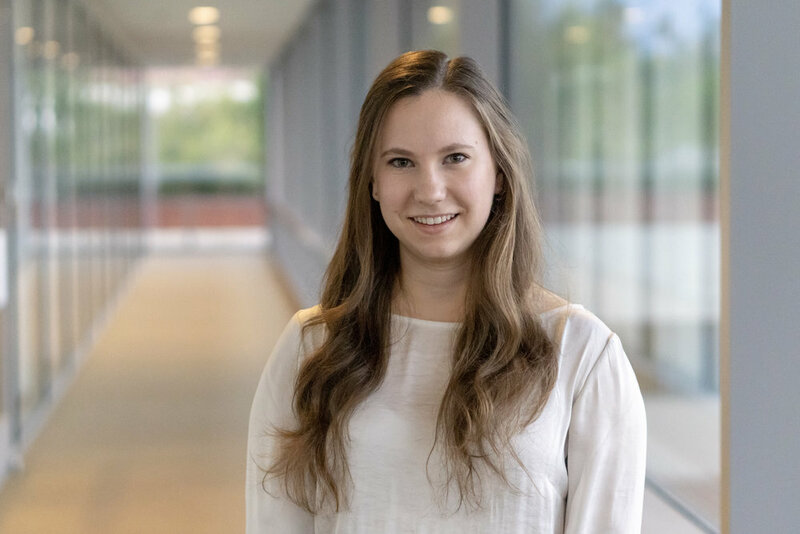 She holds multiple positions on the Student Technology Assistant Team and is piloting a twelve-week student program for prototyping and product development at the Los Angeles Cleantech Incubator. In her free time, Tori can be found climbing rocks, snapping photos, and crafting with her high-temperature hot glue gun. Shiv Pandya is a junior at Pomona College from Sugar Land, Texas, pursuing a degree in Economics. His interest in economics and world affairs grew after working with his local mayor and from having a very debate-oriented family. In his free time, Shiv enjoys watching any historical or sci-fi TV shows, reading, and playing the occasional game of badminton. Nick is a junior from Seattle, Washington, and is majoring in History and Government at Claremont McKenna. Nick has worked as a research intern at the Harry S Truman Presidential Library in the summer of 2015. He also worked as a curator for the civic startup ActiveGiver in 2016, which is working on a crowd-funding style campaign finance platform. In the summer of 2017, he was awarded CMC’s Appel Fellowship, and drove 9,500 miles around the United States writing about American history and politics. On campus, Nick serves as a student steward for the history department. Connor Sinclair is a junior from Alamo, California, pursuing a degree in Economics and Film Studies. Connor is a defensive lineman on the Claremont-Mudd-Scripps football team and enjoys fishkeeping, producing multimedia, and browsing Reddit for the hottest memes. He can be found conversing with friends in Collins dining hall or sleeping on the beach in his spare time. Connor's career ambition is to produce film and other forms of entertainment...and maybe make a few people laugh on his journey through the cosmos. Sam Whittemore is a junior at Claremont Mckenna College from Mill Valley, California. Currently he is pursuing a degree in Economics and looking to add Philosophy as a second major. His love for learning, comedy, and storytelling quickly turned into a passion for podcasts. In his free time, Sam enjoys watching the Warriors win, playing basketball, and reading fantasy novels. Will is a sophomore from Shaker Heights, Ohio, majoring in Government. He became interested in podcasting by falling asleep to Coast to Coast AM every night as a 10-year-old. In high school, Will participated in Public Forum debate, his school newspaper, and was on the Youth Forum Council of the Cleveland City Club. Will is also a research assistant at the Rose Institute of State and Local Government and a staff writer at The Claremont Journal of Law and Public Policy. In his free time, Will reads Axios AM and watches Cleveland baseball and Bojack Horseman. Elena is a sophomore from Los Angeles, CA. Her passion for public service and public policy has led her to study Philosophy, Politics, and Economics at CMC. On campus, Elena can be seen picking up a Coconut Crème Bowl of Soul at the Motley, nerding out over the latest redistricting news for her research at the Rose Institute, or attempting to stay on beat during spin at Roberts. Elena loves listening to political podcasts, re-watching West Wing episodes, and yelping her next food adventure. Nandeeni is a sophomore from Murrieta, California pursuing a degree in Philosophy, Politics, and Economics with a sequence in Human Rights. Aside from working at the podcast, Nandeeni is a Research Assistant at the Rose Institute and the Director of Overnight Visits at the Admission Office. In her free time she likes to discuss South Asian affairs, eat the Athenaeum’s cheese cubes, and watch Bollywood movies. A self-proclaimed book-geek, semi-foodie and lexicon-lover, Sabrina Hartono ‘21 is a sophomore majoring in Philosophy, Politics, and Economics. Born and raised in Jakarta, Indonesia, means that being stuck in jam-packed traffic gridlock allows for hourlong YouTube videos and podcasts. On campus, she is co-president of the Claremont Creative Coterie and does archery. In her spare time, she loves touring pop-up food festivals around Los Angeles, and going on nature hikes around the area. Anna is a sophomore from Fairfield, CT studying Government and Public Policy. She first discovered her passion for podcasts by listening to Malcolm Gladwell’s Revisionist History and is now excited to be an interviewer and a member of the communications team at Free Food for Thought. On campus, Anna also works as a tour guide in the Office of Admission and as a research assistant at the Rose Institute. In her free time, Anna loves binge-watching political dramas on Netflix, searching for new coffee shops, spending time with friends, and listening to podcasts.